This week is Mobile Technologies Week run jointly by the Library and Teaching Enhanced Learning. I can’t take any credit for what looks like a great week of activities, though did have chance to go along to a workshop on building 3D/AR for the web (unrelated: which led to me spending five minutes making this this morning, click on the 3D icon at the bottom). It crossed my mind, what do the actual stats show? We all know that mobile use is increasingly, but our real concern is not broad generalities but what our users are actually using. I last mentioned mobile usage a couple of years a go where mobile use was around 5%. So what’s changed? The following table shows the percentage of usage (sessions), according to Google Analytics (GA), by Desktop/mobile/tablet between the 15th Sept – 17th Nov 2014 (i.e. the start of term and yesterday respectively). Mobile and tablet usage accounts for 12% of usage. My initial thoughts were that this wasn’t as high as I’d expected it to be, especially for tablets, which increasingly are being used as a full replacement for a desktop or laptop. However it’s worth remembering that different sites and services are used in different ways. For example, when working hard on an essay in Word, on a desktop, we can expect a student to want to want to find a cited article while writing it. But probably less so when they are using their mobile on a short bus journey. The stats for a social site would surely look very different. Looking at individual services the Catalogue clearly stands out with 17% mobile usage. I’m guessing this can be attributed to the Sussex Mobile mobile app, which links to the Catalogue site to allow students to renew their books and items. Looking at the Referrals for the Catalogue on GA I can see 9,222 sessions coming from what looks like a special page on the IT Services website to link users from the app to their account. We had 14,946 mobile users in total for the Catalogue, so this seems to suggest the theory is right and that roughly two-thirds of the Catalogue mobile use is due to users coming from the Sussex mobile app. The website surprises me a little, desktop usage is higher than many others. Before looking at these stats I would have guessed that users were more likely to access it on their mobile, compared with our other services, to check our opening times, or borrowing entitlements. However these stats, like all stats, may hide nuances, they may well be doing this, but it could be offset by high use from Library staff in their day-to-day jobs sitting at PCs. SRO, the University’s research outputs site, sees much more usage from off campus, and those on campus as probably more likely to be staff. Find it at Sussex is a tool for accessing journal articles from citations, the usage of which has declined since the introduction of Library Search, and relatively high usage by staff and postgrads. It’s not really surprising that it sees a higher percentage of desktop use. On the left is the same table as per above but for 2013 not 2014. On the right is shows the percentage different between the two tables, i.e. the percentage different between the two percentages, this avoids confusion due to the changes in overall usage of the services. (note, usage stats of the Library section of the University website were not available in 2013). What’s noticable here is that while mobile sees roughly a 50% increase year on year for nearly every service, tablets are rising much more slowly at between 3-10%. The Exception is the more outward facing SRO seeing a much larger increase (Find it @ Sussex is better ignored, the unusual numbers are as GA reports them, as presumably due to its changing usership). Across the web there are many who show stats based on number of devices, number of new devices, sales in the US etc. But ultimately what concerns us is what our users are using now and in the future. 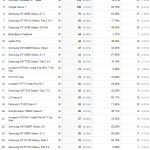 GA does not report on ‘Android’ instead listing each device desperately, I’ve included the most popular devices and created a column which totals all the Android devices. 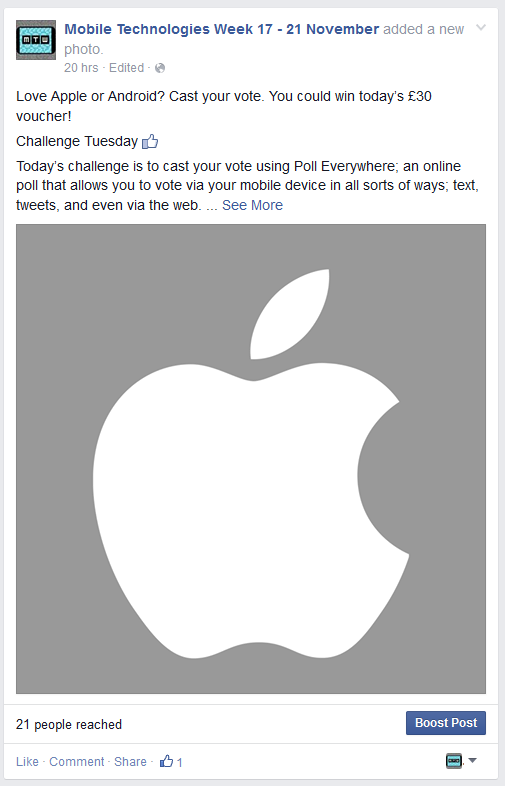 The results are surprisingly conclusive, based on these numbers Apple have a 78% share of our mobile/tablet users. Android has 8.15%, even if we presume that all the ‘not set’ devices are Android (probably not far off considering the number of Android devices emerging all the time) that still gives just a 18.7% share. I was also surprised by the MS RT Tablet, something I haven’t noticed on these reports in the past, yet was often the next device listed after the iphone/ipad. 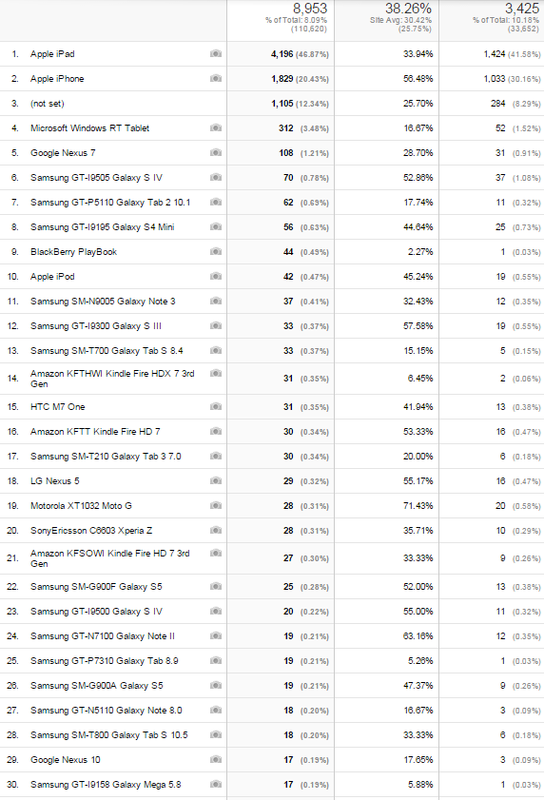 A note about the stats I used the GA mobile devices view, I only included the 13 most popular devices of the first report I looked at. Of course some devices appeared higher up the list than others, others than could have been included were the Kindle Fire, Nexus 10, Nexus 5, HTC One and more. While it’s true that Android makes up the bulk of the long tail, they are all at most double digits. The percentages shown in the table above are based on the percentage of the total sessions included in the table, not all mobile/table sessions for our services. The Android column is derived from all Android devices listed in the table (not overall). The image you can access below shows a sample of the GA report (in this case for Library Search) that I used. The numbers used to produce all these tables can be seen here. Why are these numbers useful? While we don’t design services from scratch, we do select new systems, push suppliers for updates to their products and customise sites. Understand how our users use our services and on what devices helps us to do this better. We can ensure our services work for the devices our users are using. When planning services and developments it’s good to have these facts to hand to help us make informed decisions.